Wrap-Up concludes each session and allows time for you to reflect on key ideas and concepts. To close this session and conclude the Stakeholder Engagement module, view clips from the spotlighted TED Talk by Simon Sinek: How Great Leaders Inspire Action. Reflection is an essential part of the stakeholder engagement process, as well as a core part of learning. 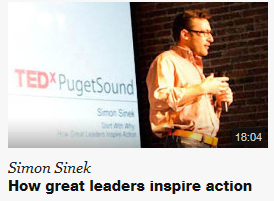 In this video, Simon Sinek shares his thoughts about how great leaders inspire action. His premise? Great work starts from the inside out, starting with communicating why the work will be done, moving to how it will be done, and ending with what will be done. As you watch, reflect on your leadership of stakeholders involved in data system initiatives and how Sinek’s thoughts on inspiring action apply to your work. Reflection prompts are available in the callout box to the right to extend your thinking. You are welcome to view the video in its entirety, or focus your thoughts and reflection on the Introduction, Wright Brothers, or Martin Luther King, Jr. clips. Click View interactive transcript under the title of the video. Scroll up and click the play button to start the video. The video plays as the cursor tracks the transcript. When you are ready, take a moment to reflect on the Challenge Question to bring this session to a close. You completed the DaSy Stakeholder Module! With a stronger understanding of the principles of effective stakeholder engagement and the stages of the stakeholder engagement process, you are better prepared to engage as a stakeholder in cross-agency data system initiatives and lead your own stakeholders. 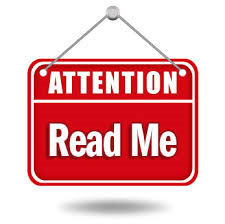 You are encouraged to refer back to the information provided in this module to support your on-going work. Move forward with confidence! Please take a moment to complete a brief evaluation survey. Your feedback is valued!